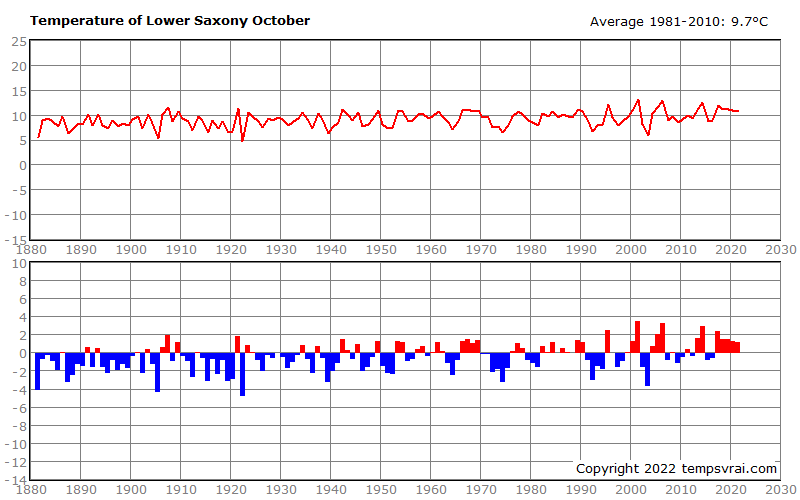 The following weather statistics shows the trends of temperature, rainfall and sunshine duration as absolute values and their anomalies from the climatic average for Lower Saxony (October). 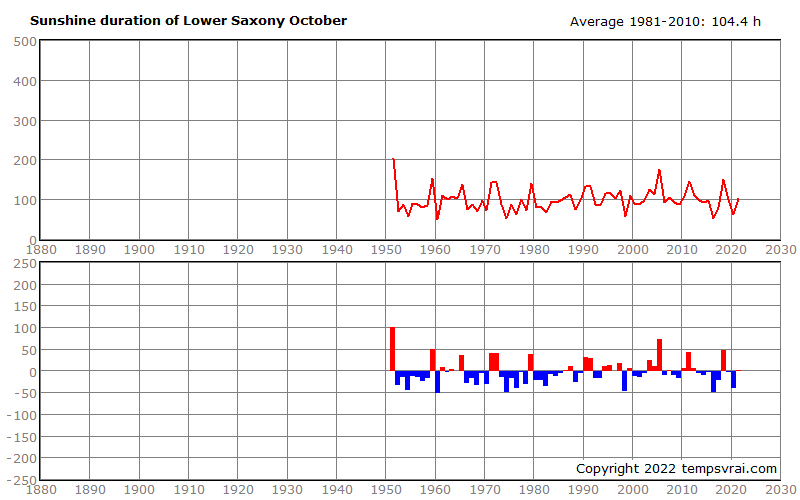 The mean value refers to the period 1981 to 2010. 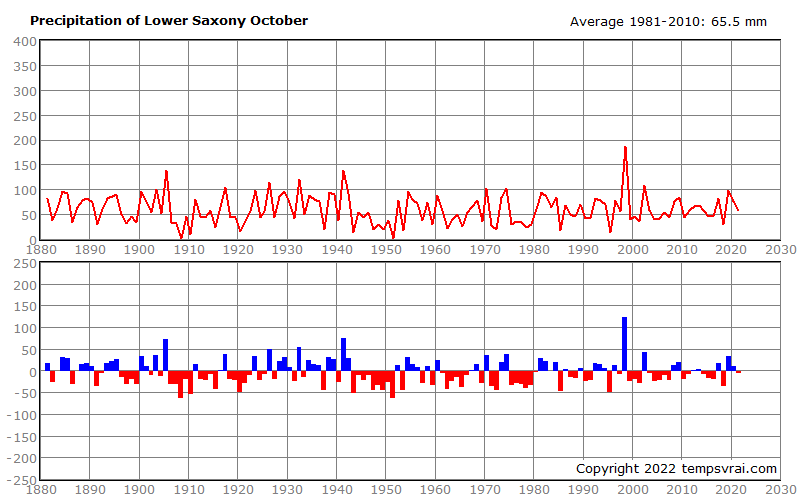 The following tables show the mean values of the month in the respective year as well as the anomalies relative to the averages of different climatic periods.